Site Build It! 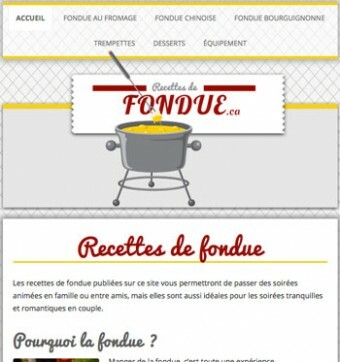 Website Development Portfolio - BestFondue.com - SBI! 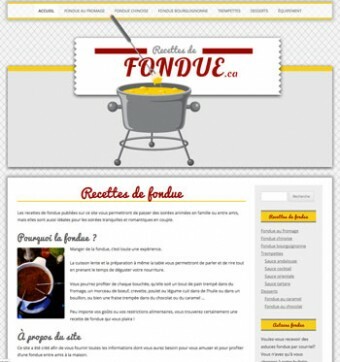 This website was created to provide visitors with recipes and general information about fondue. The site relies heavily on Search Engine Optimization (SEO) to achieve good rankings at Google and other search engines. 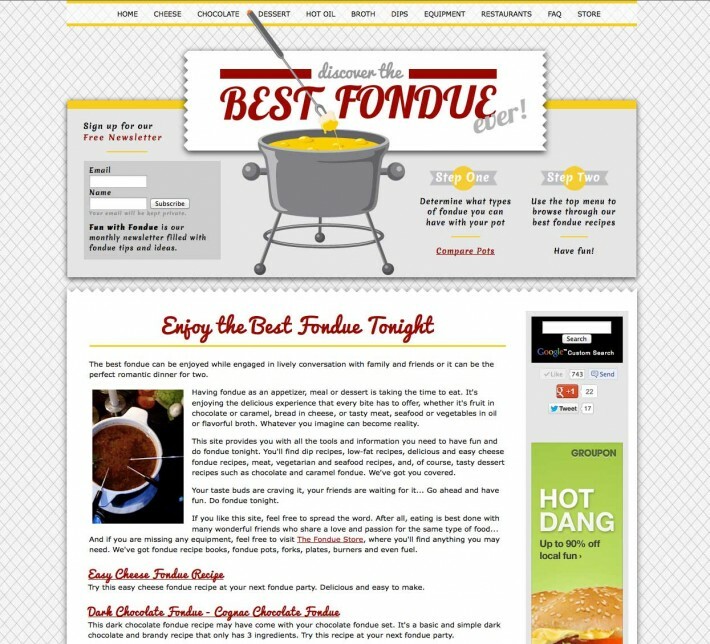 It was built with ad placement in mind so the owner could make residual income from affiliate programs, Google Adsense ads and product placement.